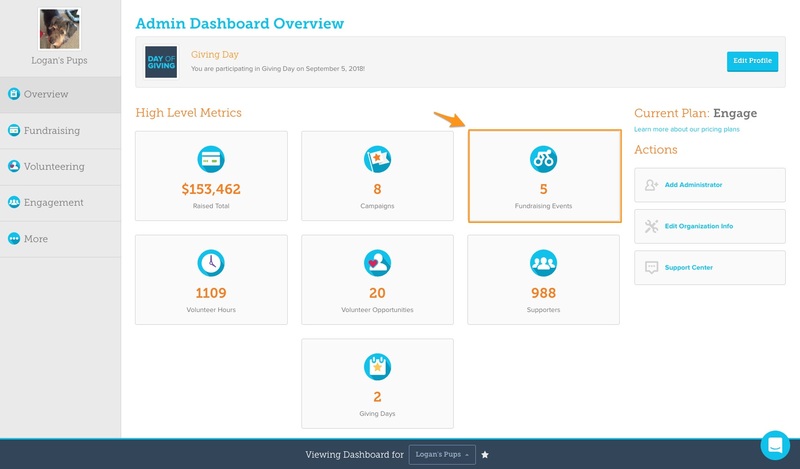 Once in the Event section of your Admin Dashboard, click the "Edit" button beneath the Event you'd like to edit, and you'll be directed to your Event Editor. 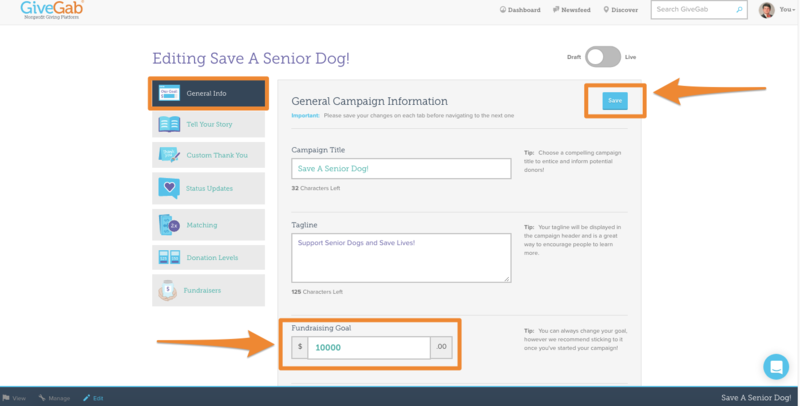 From the "General Info" Tab of your Fundraising Event Editor, enter your new goal amount in the text box highlighted below and click the "Save" button. 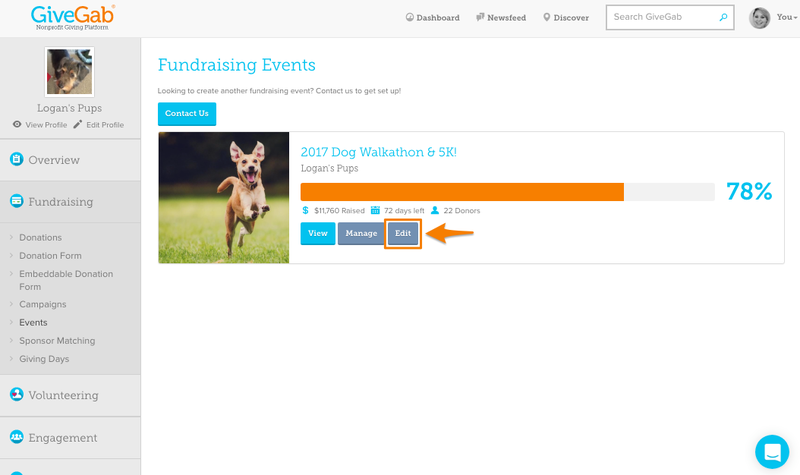 Once you've saved your new goal it will be automatically reflected on your event.